We're running PHP 5.2.5 on an IIS 7 Server and we're having problems making PHP errors visible... At the moment whenever we have a PHP error the server sends back a 500 error with the message "The page cannot be displayed because an internal server error has occurred." Does someone know what we have to do to make IIS display PHP errors on screen? Any links, tipps or tutorials on the subject would be appreciated! Just to double check, do you have logging set to error_reporting = E_ALL, and display_errors = On in your php.ini? Usually this is enough to display these errors in IIS 7. Next, take a look at your IIS settings, as it may be set to only show error messages locally. 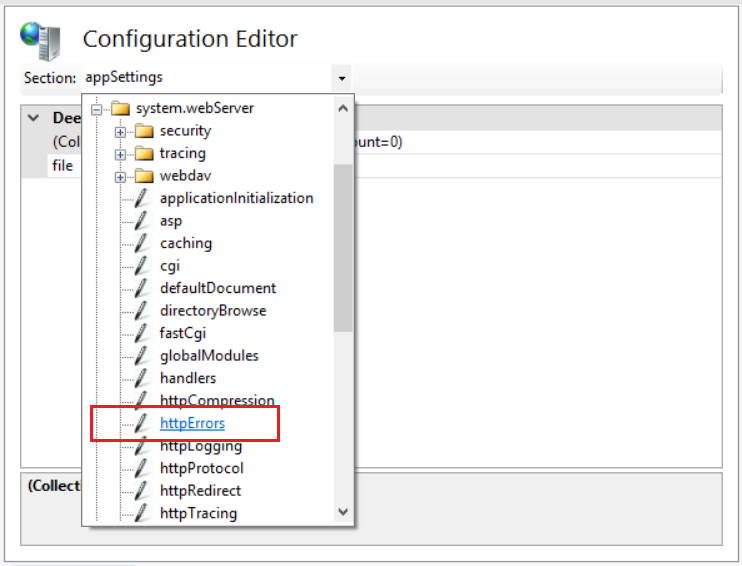 In the IIS 7 configuration editor this is under system.webServer->httpErrors. You will need to change errorMode to Detailed from DetailedLocalOnly. Obviously this now means anyone browsing your site will be able to see the error. Alternatively, if you want to keep them local you can use Remote Desktop to log in to the server and run the app from there, if you can. Just wanted to add, that "existingResponse" should be set to "PassThrough". I didn't get any real error messages without that additional setting. 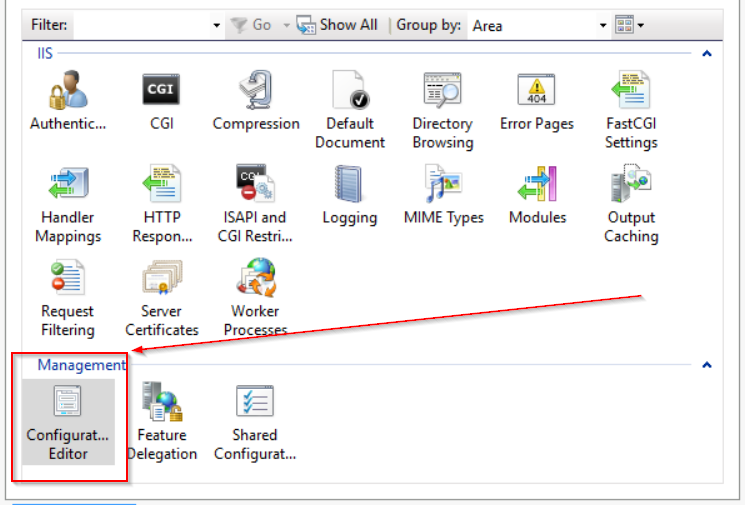 You can do this easily using the IIS Manager GUI. Select your Site and double-click Error Pages. Then hit 'Edit Feature Settings...' and select the 'detailed errors' option instead of the default 'detail errors for local requests and custom error pages for remote requests'. Voilà, simple as that! I had to go into the settings on the webserver into php configuration and there is a setting in there for error reporting and is set to production by default. Had to change it to development even after changing the php.ini and the suggestion here. I am using iis 7.5 on 2008 R2. Not the answer you're looking for? Browse other questions tagged php iis-7 log-files or ask your own question. Pass PHP5-FPM errors back to error page script?